Covéa Insurance specialises in commercial, motor, high-net-worth policies, property and protection insurance. It is part of the French mutual insurance group Covéa, one of the leading property and liability insurance providers in France, generating €17.2bn (£13.5bn) in premiums in 2015. Covéa offers a wide range of cover for customers via insurance brokers, intermediaries and direct distribution channels. Policies range from personal (car Insurance, home and contents insurance), small business (fleet cover, personal indemnity and public liability), through to high-net-worth products for higher value homes. Its lifestyle product caters for people with higher than average home and contents insurance needs and includes things like cover for works of art and gardens. You can find out if we ranked it as one of the top providers in our guides to the best car, breakdown and home insurers. How much does Covéa cover cost? Your premiums will depend on a number of factors, such as where you live, your age and the value of the item you are getting covered. Covéa does not appear on price comparison websites or have an online quote form, however, information from its site and customer feedback indicates it offers a mid-range price across the board. It has three levels of breakdown cover: roadside and recovery (£55.50); roadside, recovery and at home (£80); and roadside, recovery, at home and European (£110). That compares well with rivals, Green Flag’s most comprehensive package with European cover is £100 and the RAC’s is £183.99. Find out which breakdown firms made our list of the top 13 poviders. 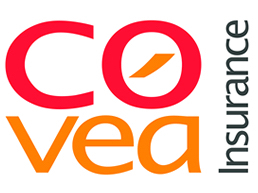 Independent financial researcher Defaqto has ratings for a number of Covea’s products. A 1 Star Rating indicates that the product is “basic, with a low level of features and benefits”. A 5 Star Rating shows that the product “is one of the most comprehensive on the market with an excellent range of features and benefits”. Home insurance – It has a range of 2, 4 and 5 Star products. "The whole process was painless and I got what I think is a really good price with good cover compared to other online quotes." Find out about the best companies in the industry with our guide to the top car, breakdown and home insurers.